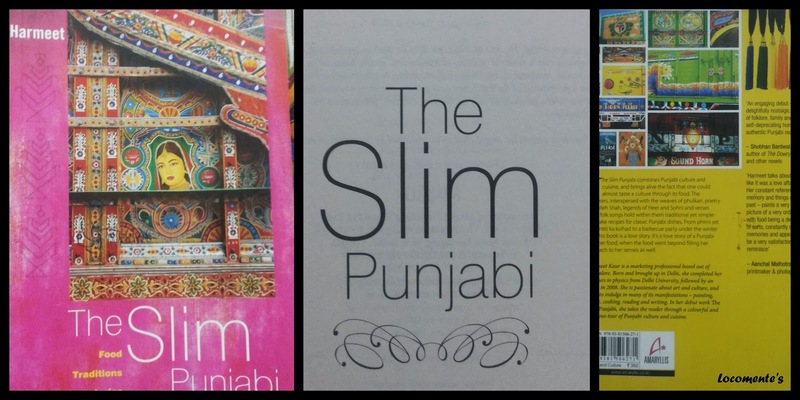 The Slim Punjabi is a delightful collection of Punjabi food recipes, information on Punjabi culture and of course the most famous love stories from Punjab. And NO, it is not just about how to make Butter Chicken and how to do ‘Balle! Balle!’! It’s a lot more than that! This is an important book that will help preserve some of the finer details about an exquisite cuisine of India. · The recipes are for people in their mid-twenties to thirties, working and staying away from home and somehow managing to cook. From the basic daals and rotis to snacks, chutneys, and chaats, this book has everything one can possibly associate with Punjabi food! · It showcases cooking as a de-stressing activity. It’s an attempt to make bachelors cook, and unwind, and enjoy wholesome Punjabi meals. · The book takes brief side tours to give fascinating information on everything, Punjabi music, religion, culture, love stories, traditions and much more. Harmeet is a marketing professional based out of Bengaluru, born and brought up in Delhi. She has been an ardent lover of arts and culture since her childhood. She loves to paint, read, write, cook, and explore everything around her. Working first in the fashion industry and now with food has helped her combine her interests with her work. The Slim Punjabi combines her passions for writing, cooking, fashion and culture. To begin with, the cover page is vibrant and catchy. It is pink and girly. The patterns are so Indian and I am sure that it gets full score as far as attracting a potential reader is concerned. Secondly, the book blurb is concise and conveys what is in store. The prologue nicely elaborates the story behind the conceptualization of the book. It also briefs about what can be expected. The book is nicely divided into five sections, each section carries a river’s name that flows through Punjab. They talk about the culture, food, festivals, traditions, arts and also the famous love stories. The narrative flows with ease. The language used is very simple. Retelling is never easy because you have to be very careful to not to tamper the essence. And, the author has done fair justice. I loved the parts which narrated the famous tragic love stories of Punjab – The story of Heer-Ranjha, Sassi-Punnun, Mirza-Sahiban, Sohni-Mahiwal. These stories touched my heart. In spite of born and brought up in South India, I can moderately understand Punjabi. With due thanks to Bollywood, Punjab and Punjabi culture has reached a wider audience. I love Pattiala salwar, joothi and flamboyance of Punjabi. I really wish that I attend a Punjabi wedding someday. I can do balle-balle and enjoy the bhangra style of dance. I am glad that this book helped me to understand the same in a better manner. I enjoyed the last few pages that gived tips to starting a bachelor(ette) kitchen. I am planning to set my own and this would be really helpful, I bet. I also liked notes on author’s personal experience with each Punjabi cuisine along with the recipes. I appreciate the author for this well-researched and well-presented book. It gives a glimpse of Punjabi culture in a very vibrant and yummy manner. The cover page could have been yellow or orange, the color of Punjab instead of pink, which is largely perceived to be the color of Rajasthan.